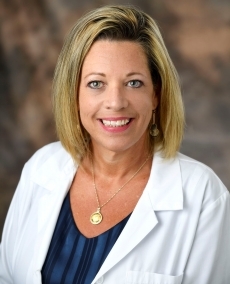 Jeannie S. Johnson, APRN, CPNP, PMHS, is a board-certified pediatric nurse practitioner and pediatric mental health specialist who holds both bachelor’s and master’s degrees in nursing from the University of Central Florida. Her primary areas of specialization include disorders on the autism spectrum plus ADHD, anxiety, learning disabilities and the effects of premature birth. Her prior experience in nursing includes pediatric ICU, pediatric public health, and pediatric primary care. She is a member of the Society for Developmental and Behavioral Pediatrics, the National Association of Pediatric Nurse Practitioners and the Sigma Theta Tau International Honor Society of Nursing. Jeannie also provides evaluation and ongoing medication management for patients. Jeannie is an active member of the AHMG Advanced Practice Provider Committee. Jeannie applies her outstanding clinical skills, compassionate spirit and dedication to excellence in helping children and adolescents overcome specific challenges and achieve their true potential through the use of a medical management model.